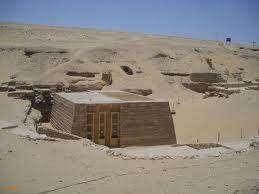 a series of tombs with rock-cut passages in the escarpment facing the causeway that lead to the pyramid of Unas. 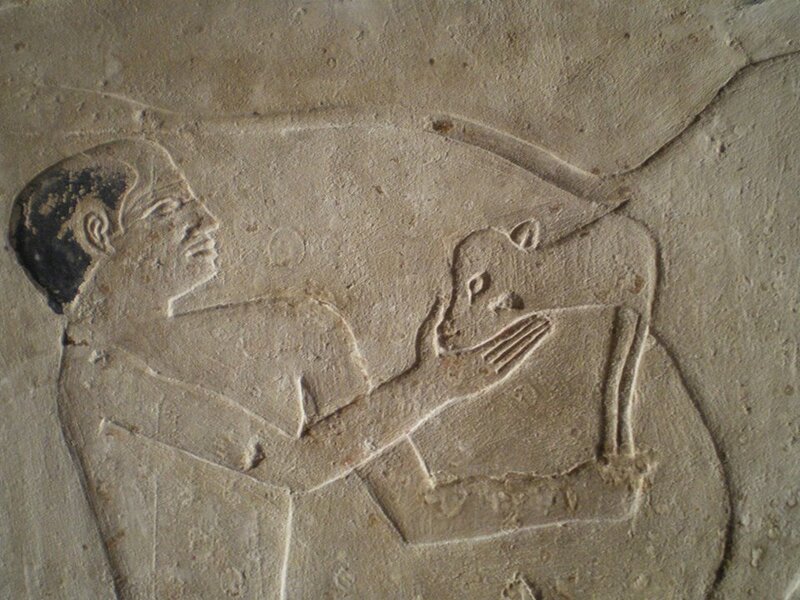 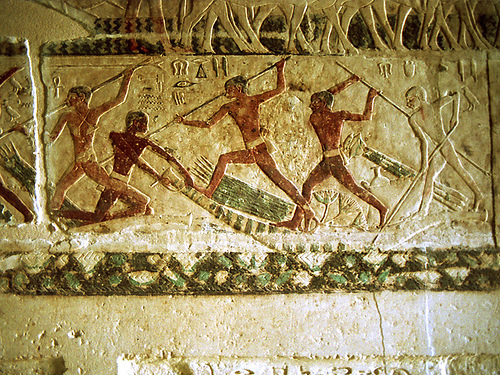 Soon after the Chief Inspector Mounir Basta reported crawling on his hands and knees through the passages, entering one of the Old Kingdom tombs. 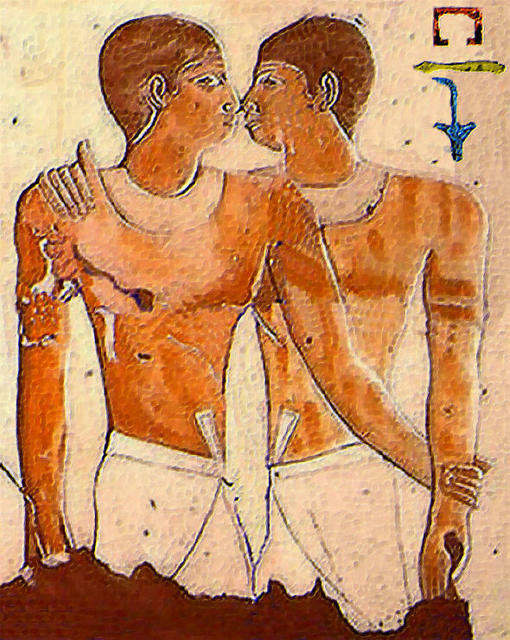 He was impressed with its unique scenes of two men in intimate embrace, something he had never seen before in all the Saqqara tombs. 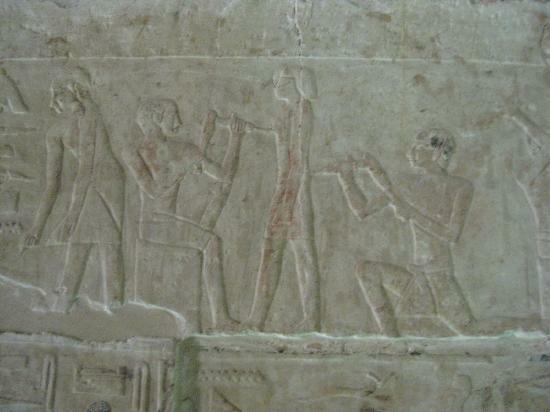 Meanwhile archaeologists working on the restoration of the causeway of Unas discovered that some of the stone blocks that had been used to build the causeway had been appropriated in ancient times from the mastaba that had originally served as the entrance to this newly discovered tomb. 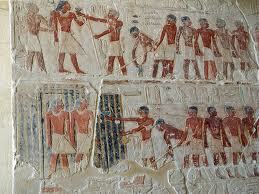 The archaeologists reconstructed the mastaba using the inscribed blocks found in the substructure of the causeway. 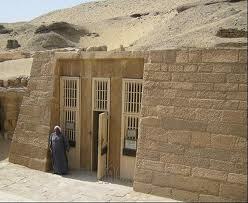 It was revealed that this unique tomb had been built for two men to cohabit and that both shared identical titles in the palace of King Niuserre of the Fifth Dynasty: "OVERSEER OF THE MANICURISTS IN THE PALACE OF THE KING."